FINANCE minister Margaret Mwanakatwe says the sacrifice of patriotic taxpayers has helped to build Zambia from strength to strength. The minister indicated that the domestic resources obtained through taxes had contributed to the country’s progress. Mwanakatwe was speaking during the Zambia Revenue Authority (ZRA) silver jubilee celebrations and launch of the Authority’s corporate strategic plan, at Mulungushi International Conference Centre in Lusaka on Friday evening. The ZRA, a statutory body under the Ministry of Finance, clocked 25 years of existence on April 1 this year. “The sacrifice of patriotic taxpayers has helped to build our country from strength to strength. As citizens, we have a civic duty to do the right thing for our country by continuing to be tax-compliant while reporting all those who are breaking tax laws today and in future,” Mwanakatwe said. She indicated that the government belonged to those who sustained it through tax compliance. “The government is merely a trustee of your vision, a guardian of your power and a steward of your resources. 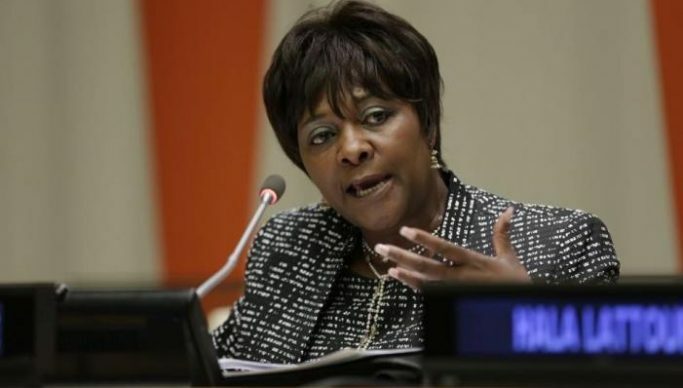 Through the tax contributions of citizens, the government has been able to oversee the successful implementation of different reforms, leading to substantial investments in socio-economic sectors, among others,” Mwanakatwe noted. And Mwanakatwe commended the ZRA for the role that it had played in supporting the government’s developmental agenda. “Efficient tax revenue administration plays a critical role in shaping the destiny of our country. Without efficient revenue administration, our dignity and sovereignty in mobilising domestic resources for national development will be compromised,” underscored Mwanakatwe.